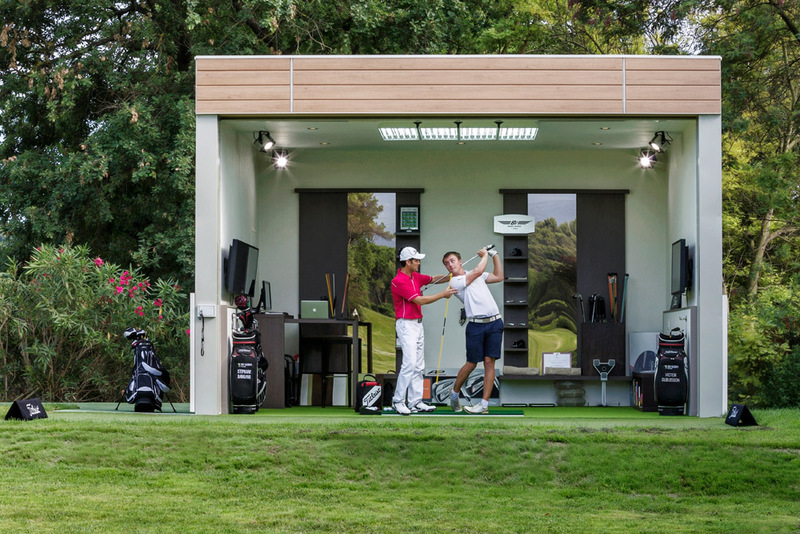 Developed specifically to meet individual needs of each player and going far beyond of what you can see, our teaching technology is able to deliver a very precise and complete analysis of your golf game and compare it to the golf swing of professional golf players. Why guess what you can measure ? The advantage of the high technology is that it help to avoid the margin of error due to the assumption and subjective interpretation of the coach. Pedagogical discourse between the coach and the student gains in confidence and efficiency. As the logical continuation, our highly qualified golf coaches can built a personalized golf program based on your swing analysis to improve your golf game. Our TPI centified fitness coach will also help you to detect your swing-related phisical limitation and, if needed, to orientate you towards the golf specific fitness program. Trackman and video analysis: A radar that tracks everything that club and ball do during the swing. It gives a very precise and detailed analysis of your swing patterns that are impossible to see with the human eye or video analysis only. Smart2Move dual force plates. No regularity and power without good support and a good power transfer! Analysis of static and dynamic balance during the execution of the swing, as the displacement of the center of gravity, weight transfer and force left right / front / rear foot and relief / heavier in respect of a throwing motion rotary. SAM PuttLab to measures your putting for a better short game performance.